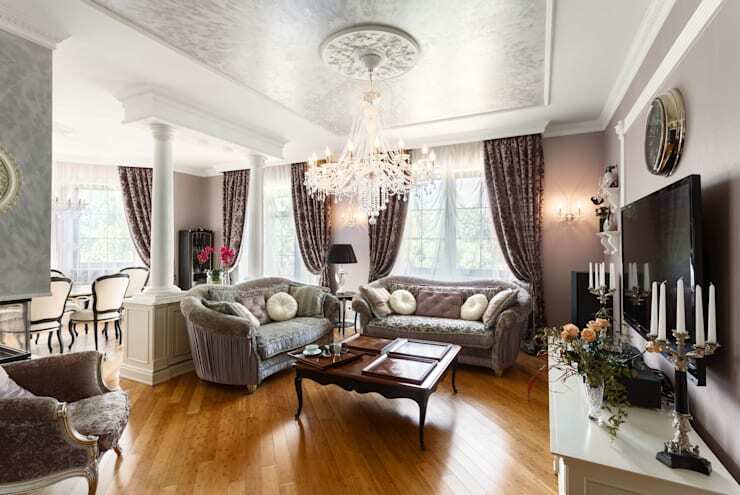 The living room is the central part of the house where the homeowners sit and relax at the end of a long day; it's the room where people are entertained several times. So it is important the furniture in the living room is comfortable for long hours of television viewing. There are a wide variety of choices while choosing a sofa that it can be really overwhelming. Also, there are customization options too. 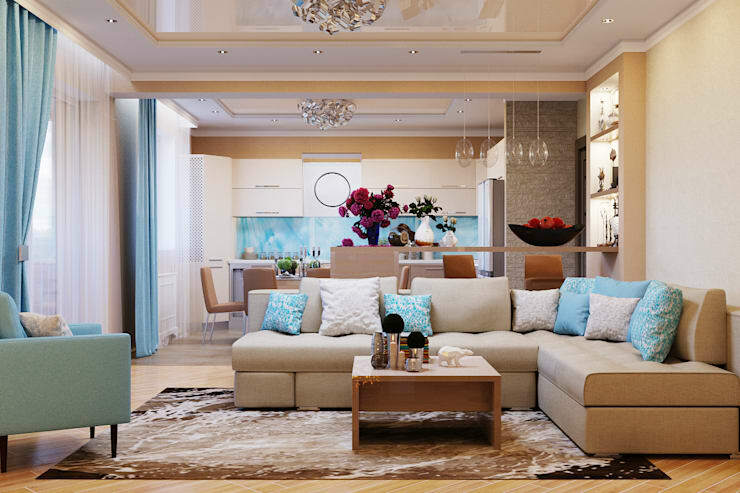 However, before choosing a sofa, planning for the living room is a must. Size, shape and budget for the sofa should be planned so that buyer’s remorse can be avoided later on! Depending on the living room size the sofa can be chosen. It is always better to do the ‘sit’ test before deciding on the right sofa. If the sofa is going to be used for television viewing, comfort should be the keyword while selecting the right couch. For a large living room, sectional sofas can also be considered. For smaller living rooms, a smaller couch would be just right. It’s important to pick something that is practical and complements the rest of the space. After deciding on how the sofa will be placed in the living room and the sizes measured, the right sofa is just a step away! If the living room has eclectic décor, then retro style couches will work well. Vintage floral will give a very retro feel to the couch and the room. The sofa upholstered in a floral fabric should be teamed with colorful cushions in retro patterns and this will provide a classic look. The walls can be toned down with beige or even white to complete the retro look. Even leather couches with an assortment of colorful cushions will grab attention in the living room. 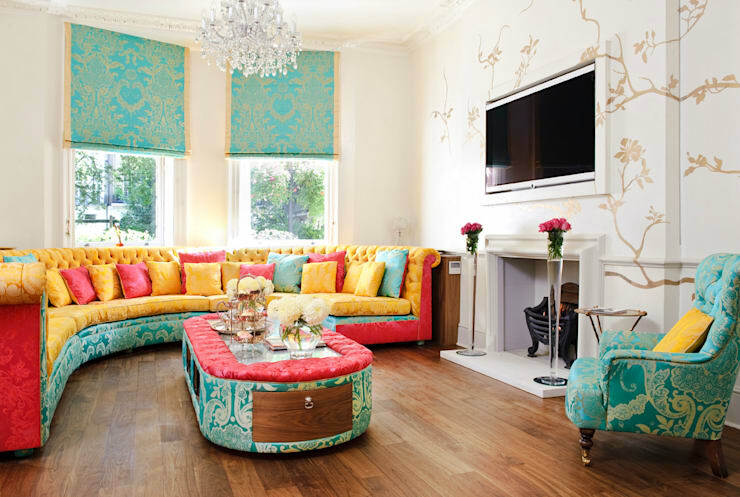 To make the living room colourful, the couches can also be chosen in unconventional colours. These types of couches can be customized too in the homeowner’s choice of tones. However, customized couches can be a tad expensive. For example, multi-coloured walls in a room can provide an eclectic feel to the room. Multi-coloured faux leather couches can also add a surprise element to the living room. This can be teamed with colourfully patterned cushions to complete the look. Bright coloured slipcovers can be teamed with bold printed cushions. This will blend well in a living room painted in soft colors and minimal furnishings. This splash of colour is an amazing piece by Interior Desires based in London, United Kingdom. Couches with interesting patterns can also create a focal point in the living room. These couches can be attractive in a room with minimalistic furnishings. Geometric patterns will look good in small living rooms where the sofa would be the attractions. 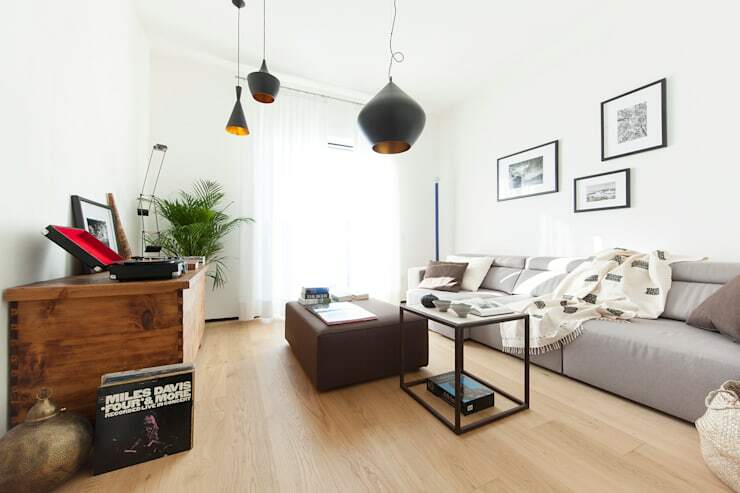 It will stand out in a lightly shaded room with colorful furnishings and finely polished wooden floors. Funky ottomans will also provide colour and an interesting look to the room. Interesting fabric patterns can be used to reupholster sofas to showcase an eclectic look. The fabric will draw attention to the sofa and can be a conversation starter. It is important to choose a style that complements the home. For a modern style, it is important to pick something that reflects clean lines and dramatic colors. It is also good to go with the instincts while picking sofas that will fit naturally in the house as per personal styles. A modern shaped couch with traditional accents will be a good expression of modern style. Reupholstering furniture is relatively inexpensive and it can be personalised as per the homeowner’s taste, while teaming it with other accessories in the room can add to the modern take of the homeowner. It is always fun to choose a unique print and this will add a personal touch to the entire room. If funky experiments are not the homeowner’s forte they could opt for a funky ottoman that can also double up as a coffee table while entertaining. The minimalist style is in vogue, as it can never go wrong with its low profile and streamlined look. It is an excellent choice for the living room. A light tone for the sofa against medium walls will give a major impact to the living room. 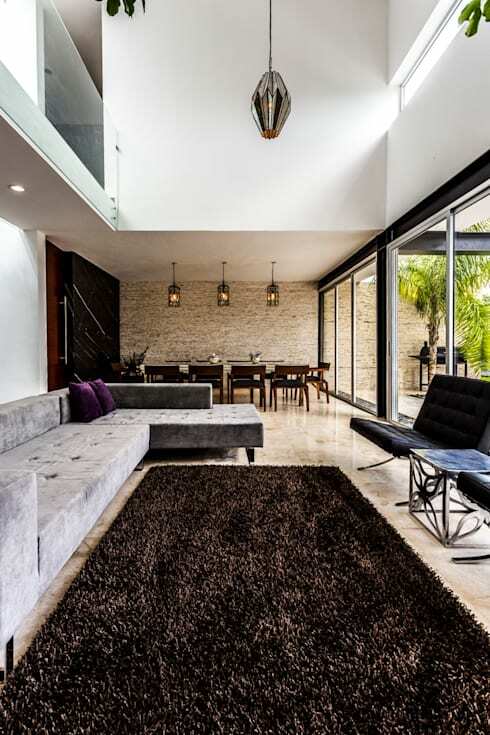 In an L-shaped setting, arranging the sofas with proper use of space will show the clean aesthetics of the homeowner in using the minimalistic style to great effect. Uniquely shaped sofas can also be a conversation piece. For example, a curved sofa can be unique, but it may take up more space. There is also the no-cushion sofas like velvet cushion sofas that can do without an extra cushion. These sofas are minimalistic and also make a bold statement in the room. A simple sofa with minimal lines in an uncluttered room can turn the room spacious and is fit for entertaining. Couches can be upholstered with a variety of fabrics. Homeowners, with eclectic styles, choose to upholster sofas with unique fabric combinations. There are several ways to personalize furniture and create a fresh and unique look. Geometric patterns, velvet, etc, are some of the fabrics that can showcase the personal style of the homeowner. Reupholstering a couch or using funky slipcovers with a cushion in different fabric designs can provide a great surprise element in the room. Take a look at our ideabook Stunning living room leather furniture for more ideas! Which of these sofas is your favourite? Let us know in the comments!